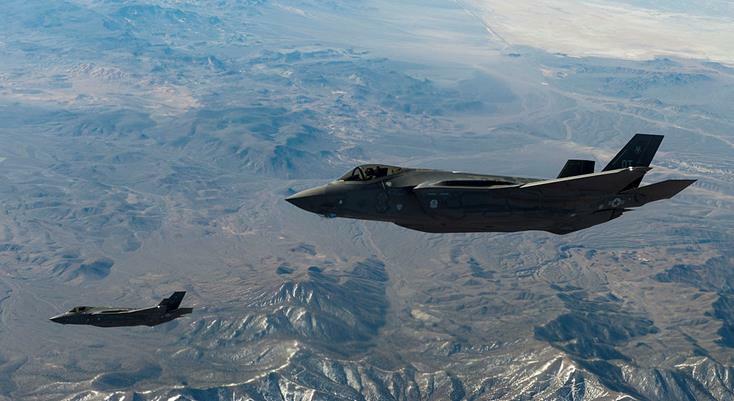 EDWARDS AFB – Two F-35 Lightning IIs from the 31st Test and Evaluation Squadron [TES] on Edwards Air Force Base will take part in the traditional flyover at the beginning of the annual Tournament of Roses Parade Jan. 1 in Pasadena, California. The fifth-generation fighters are scheduled to accompany a B-2 Spirit stealth bomber from the 509th Bomb Wing, which is stationed at Whiteman Air Force Base, Missouri. According to information from Donate Life America, the flyover will honor organ donor Maj. Benjamin Meier, an Air Force pilot who was assigned to the 31st TES. The F-35 on the left of the B-2 will represent all organ donors, while the F-35 on the right will symbolize all who have received organs that have prolonged their lives. While on a morning run in 2015, Meier was struck in the head by the mirror of a passing truck on Edwards AFB. A Donate Life America release says he was declared brain dead less than 24 hours later. An organ donor, Meier was able to provide his heart, lungs, liver and kidneys to people who live on to this day. A handmade floragraph with Meier’s likeness will be one of 44 featured on the Donate Life America Rose Parade Float. According to the organization, the float is part of a national effort of more than 50 organizations that have teamed up to deliver a message that becoming an organ donor can help save and heal lives. Airmen of the 31st TES joined Meier’s family in a ceremony at Hangar 1810 Dec. 8 where his squadron finished decorating the floragraph [read more here]. The squadron got the opportunity to place their own touches on the floragraph and added Meier’s call sign “Chex” on his uniform and signed the back of his portrait. The floral portrait is made of dried flowers, seeds and spices, and will be placed on the Donate Life America Rose Parade Float. Meier was a combat veteran who received the Air Force Air Medal before flying F-35s as part of the 31st TES’ operational test and evaluation mission. He is buried at Arlington National Cemetery and is survived by his wife, two young sons, two sisters and parents. 1 comment for "F-35s from Edwards to perform Rose Parade flyover"